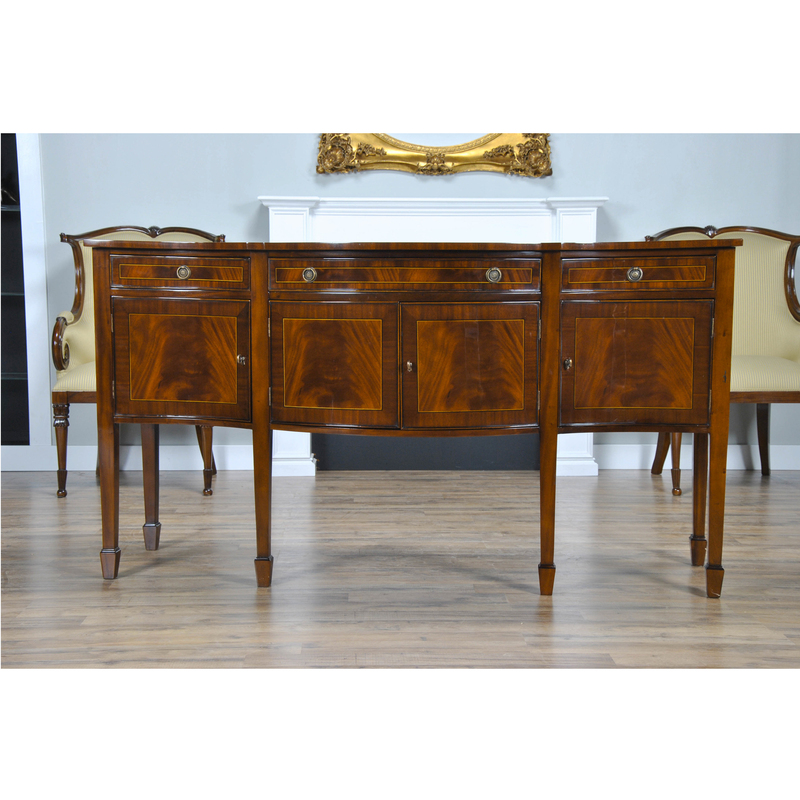 Simple yet sophisticated the Large Mahogany Sideboard by Niagara Furniture has everything going for it. 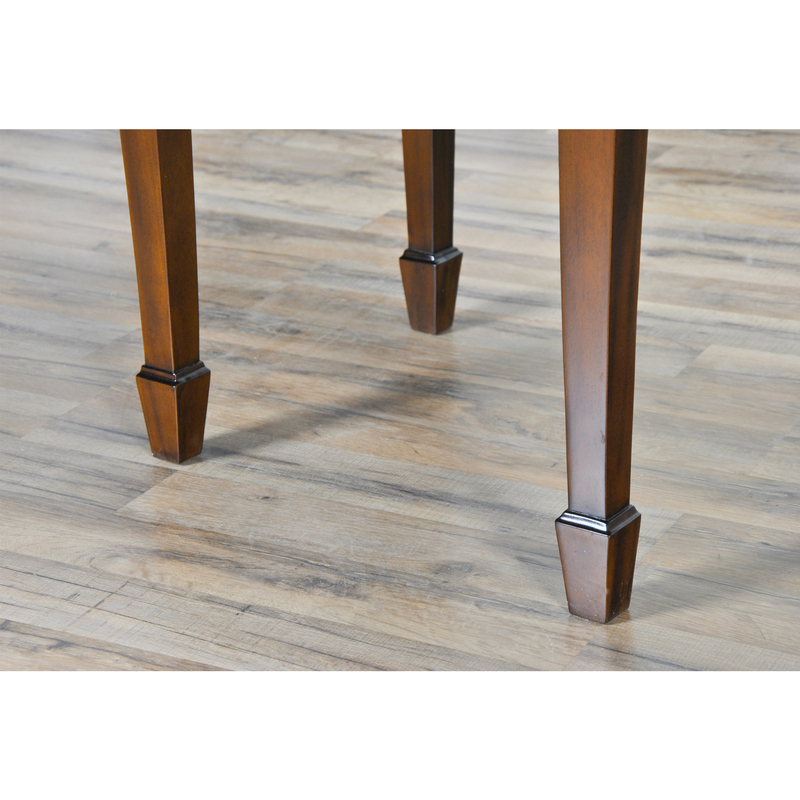 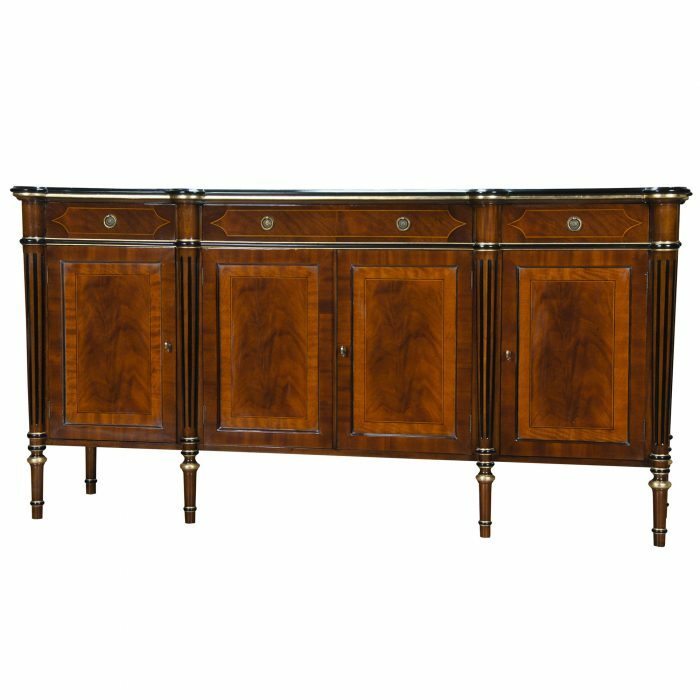 A slightly larger size than many of our other high leg sideboards this item boasts a great amount of storage space featuring three drawers over four doors. 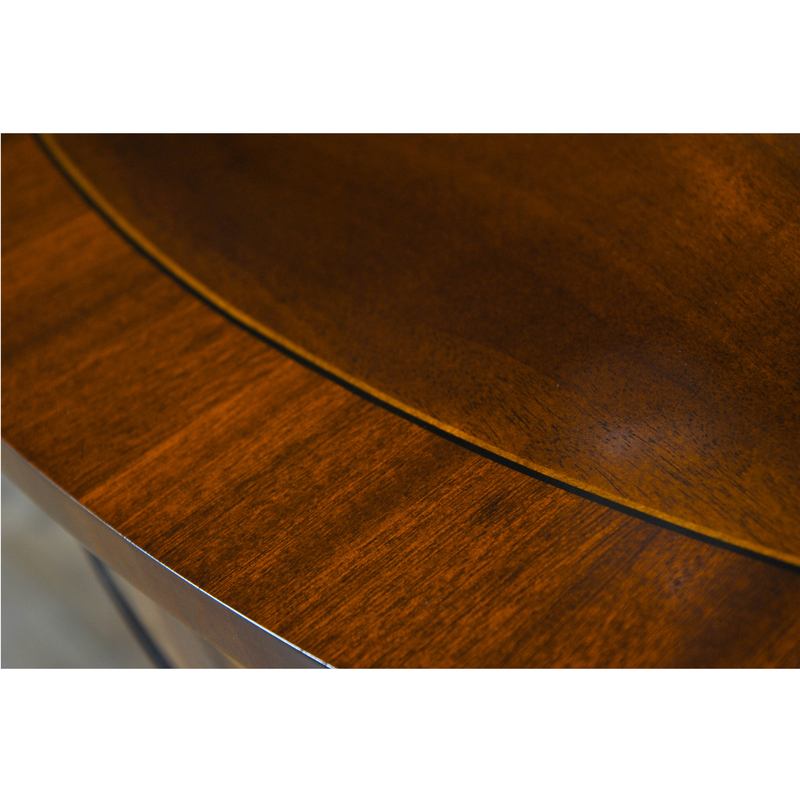 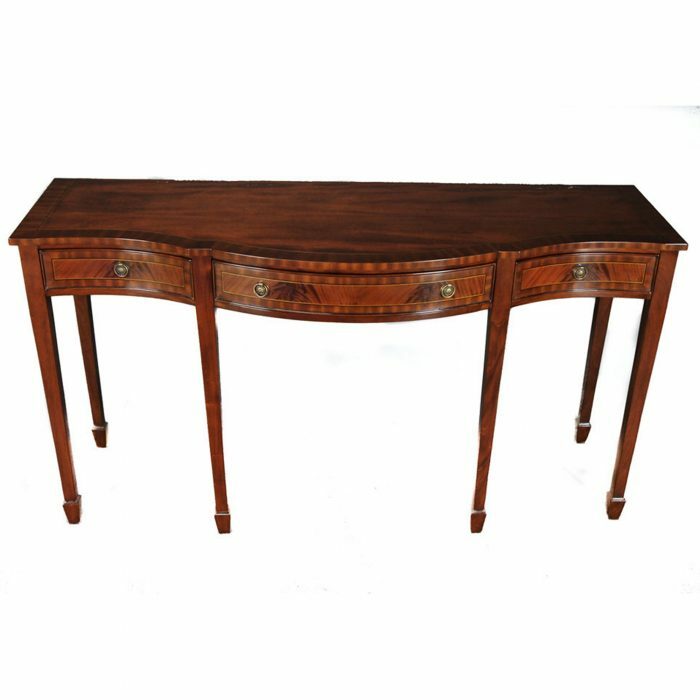 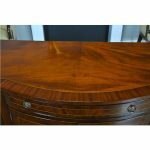 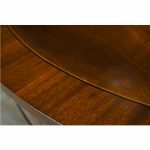 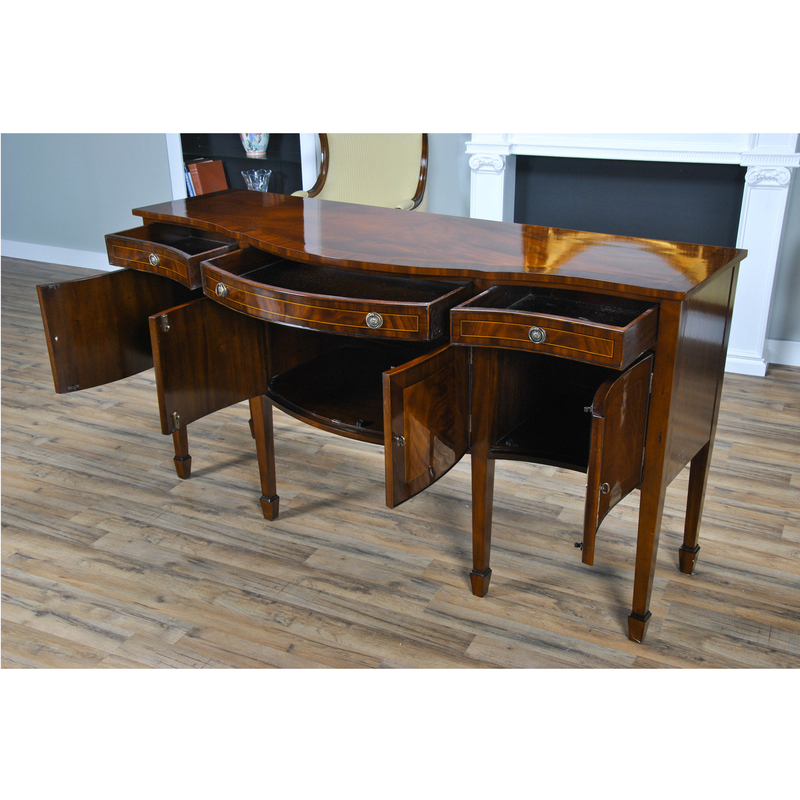 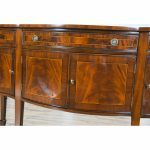 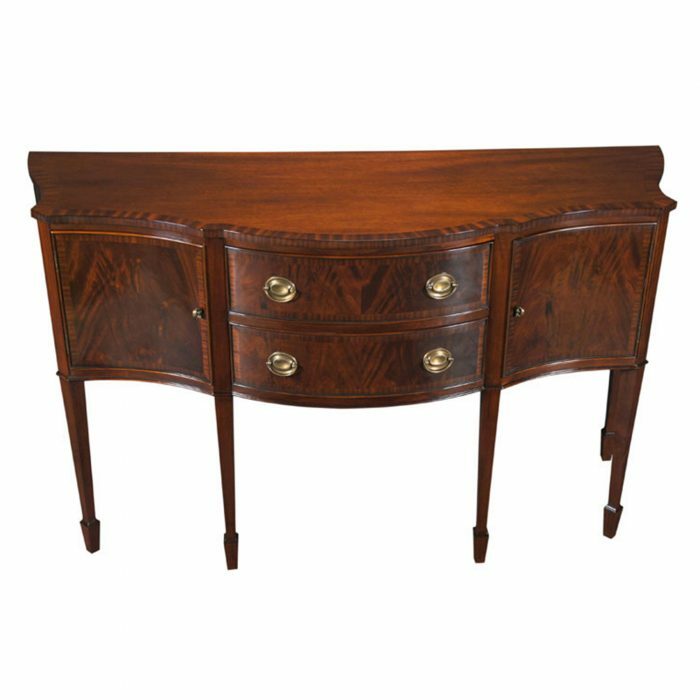 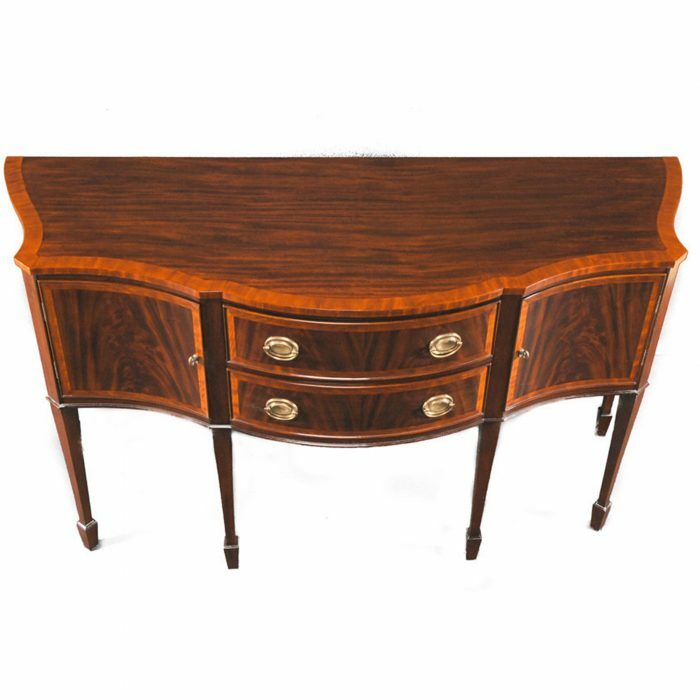 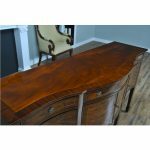 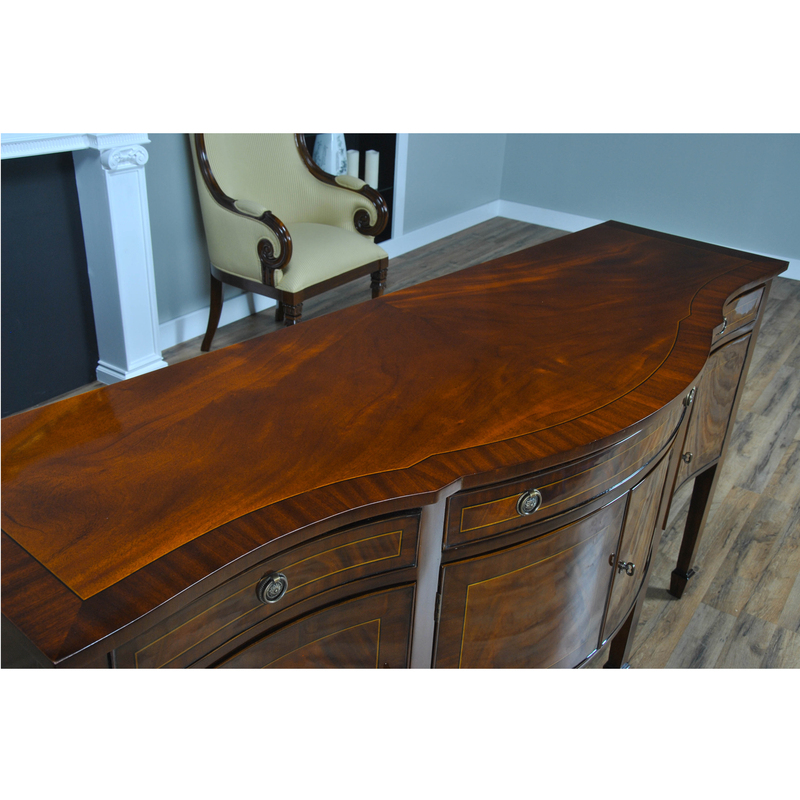 The serpentine shaped front is a classic design feature and this shape is highlighted on the top of the sideboard with lightly contrasting sapele banding which is also present on both the door and drawers. 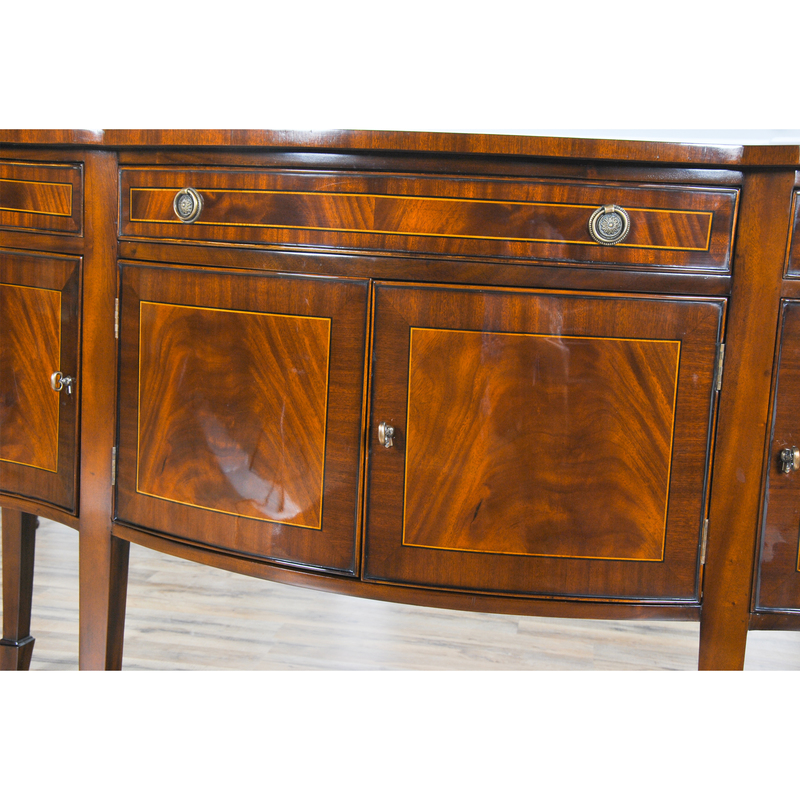 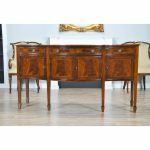 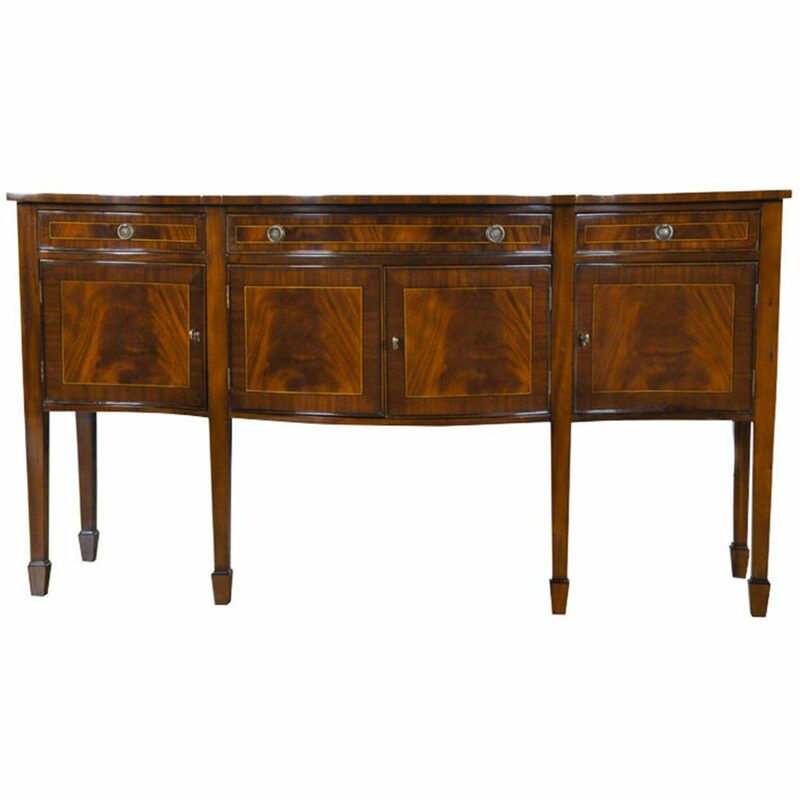 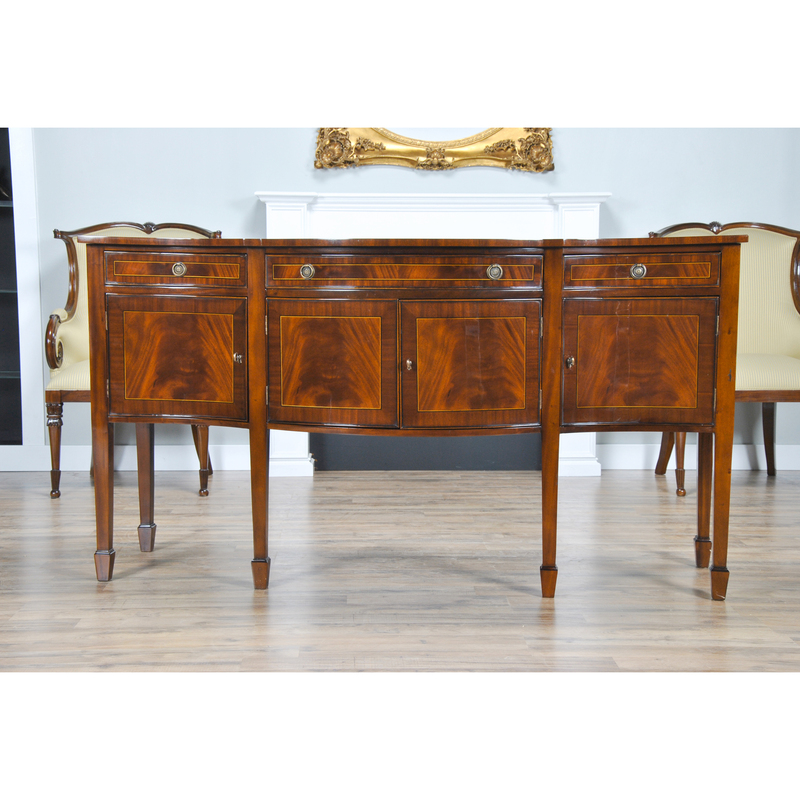 High quality construction throughout the Large Mahogany Sideboard is exemplified in the solid mahogany legs, the designer style hardware as well as the dovetailed drawers.